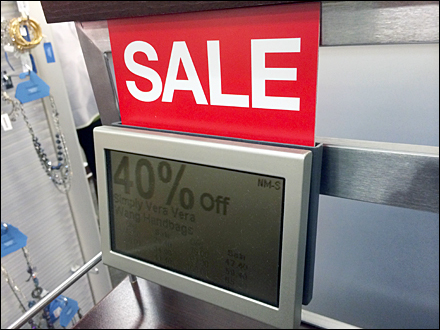 Saddle-mounted on a bar, Digital Signage offers the merchandise discount as well as item pricing in fine print. A drop-in header in vivid red makes sure you know that there is a “Sale” going on. CLICK the gallery for assembly details and how it works.